A lovely three bedroom town house offering well proportioned living accommodation over two floors. The front entrance door opens to the reception lobby with generous storage area ideal for a hobby or office room. Inner door to the main reception hall with cloak room W.C. and deep under stairs storage area. 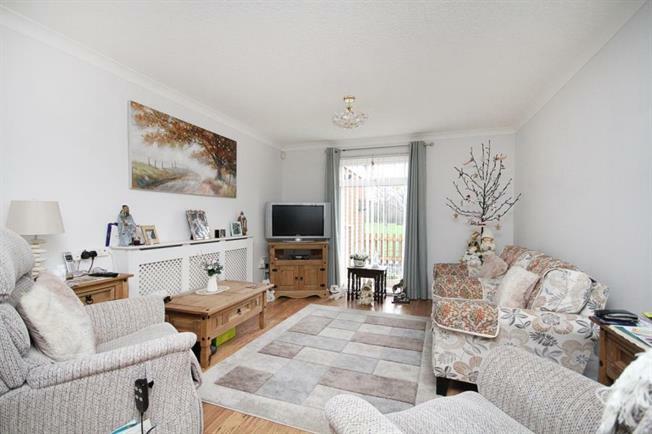 Light and airy living room, through dining room with access to the sun lounge area and garden. Fitted kitchen with a range of matching units. Stairs to the first floor, with three well proportioned bedrooms and a family bathroom, W.C. Front garden area with pathway to the front entrance door. Privately enclosed rear garden with paved sitting areas. The property is served by a range of local amenities and regular public transport convenient for access to Sheffield City Centre and Dronfield. The superbly redeveloped Graves Leisure Centre offers fantastic sporting facilities for all the family. Only from a detailed inspection can the full extent and standard of accommodation on offer be fully appreciated. Early viewings are strongly advised.